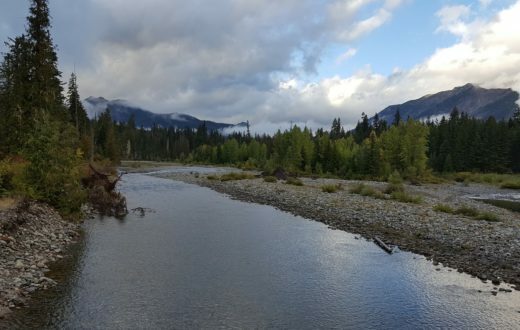 Using wood debris to reconnect floodplains, restore ecosystems, and adapt to climate change in Washington’s North Cascades. 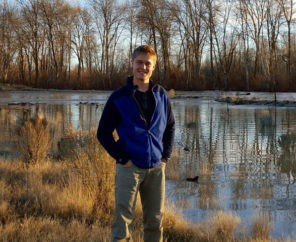 On a brisk November afternoon in the Central Cascades, a group of restoration scientists and conservationists stood along the banks of Jungle Creek. Peering down at the passing water, we watched the creek flow silently and uninterrupted over a smooth stone streambed. Even standing next to the creek we were far from the water; the streambed was many feet below us. This particular reach of Jungle Creek was suspiciously straight and without clutter from debris, large rocks, or even gravel. It was as if a bulldozer had carefully plowed along the streambed creating a deep channel, not unlike a canal. This was not a healthy stream, and we had gathered to discuss our efforts to fix it. 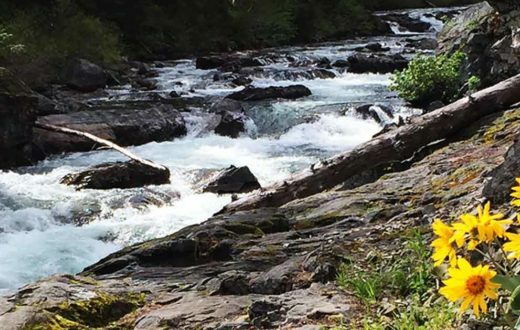 Nestled among the Cascades, the Teanaway Community Forest was established in 2013 to protect 50,000 acres of state public land and over 400 miles of free-flowing streams. The Teanaway is Washington State’s first community forest, collaboratively managed by the State and a community-based advisory committee that includes Yakama Indian Nation, residents, business owners, local governments and conservation groups. The Teanaway Community Forest is a successful experiment in multiple-use land management that demonstrates how protecting healthy ecosystems and supporting working landscapes can go hand-in-hand. The Yakima Basin Integrated Plan Workgroup and its partners in the conservation community championed the Teanaway Community Forest acquisition to the state legislature and remain involved in this unique joint management effort, as protection of the Teanaway basin is the first major step toward restoring headwater habitat within the Yakima Basin. The Teanaway is home to populations of wolf, elk and spotted owl, and contains over 400 miles of streams that feed the Teanaway River and the headwaters of the Yakima River Basin. Until the mid-20th century, the Teanaway valley was used for timber harvest and as open grazing lands. Historically, streams provided a means to transport harvested timber downstream, and had to be straightened and kept clear of natural wood debris to do so. As a result, complex fish habitat was removed, and streambeds eroded downward over time. Despite being protected today, many streams in the Teanaway valley remain in degraded conditions. 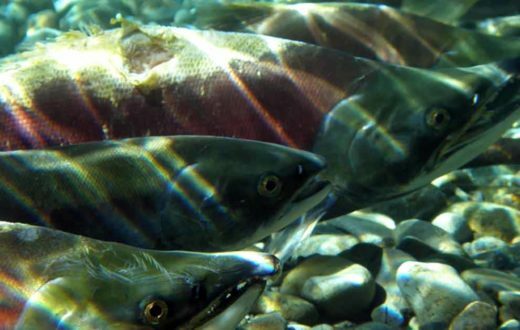 This is a problem, because the Teanaway’s feeder streams provide critical habitat for endangered bull trout and mid-Columbia basin steelhead, as well as salmon. In their current state, these streams are unlikely to support the recovery of endangered fish, especially as the impacts of climate change intensify in the coming decades. 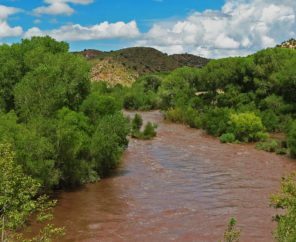 Restoring a river is less a result of work that people do, and more a result of work that a river can do on its own when allowed. Rivers, streams and creeks are pretty clever systems, underpinned by natural processes that maintain everything from the quality of water to the character of a riverbank. Whether removing a dam, setting back a levee, or returning wood to a stream, river restoration is the act of returning natural processes that a river needs to passively restore itself. Restoration using large wood on Indian Creek completed in 2015. Sediment is already beginning to re-aggrade streambeds on treated reaches, enhancing water storage and restoring fish habitat overtime. 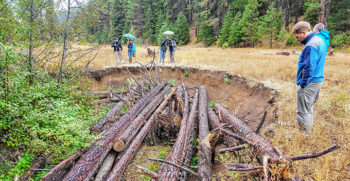 In eastern Washington, Yakama Nation Fisheries has pioneered an approach to return large wood debris to degraded streams and floodplains and, in doing so, restore natural river processes. Wood debris naturally accumulates in forested rivers and is especially important in high-elevation cold-water streams such as the Teanaway River. Fallen trees and woody debris create logjams that produce deep pools, provide shade, and enhance roughness and sediment storage, together these factors maintain base-flow and cold-water habitat for fish. Degradation from past land use has stymied the Teanaway’s capacity to support the recovery of endangered fish, whose recovery is further jeopardized by warmer stream temperatures and lower summer flow levels driven by climate change. Fortunately, we can undertake restorative actions today to begin addressing these pressures, and support the ability of some species to adapt to the impacts of climate change as they progress. Yakama Nation Fisheries’ wood restoration efforts aims to restore basic hydrologic and ecosystem functions to streams, naturally restoring instream and floodplain habitat overtime. 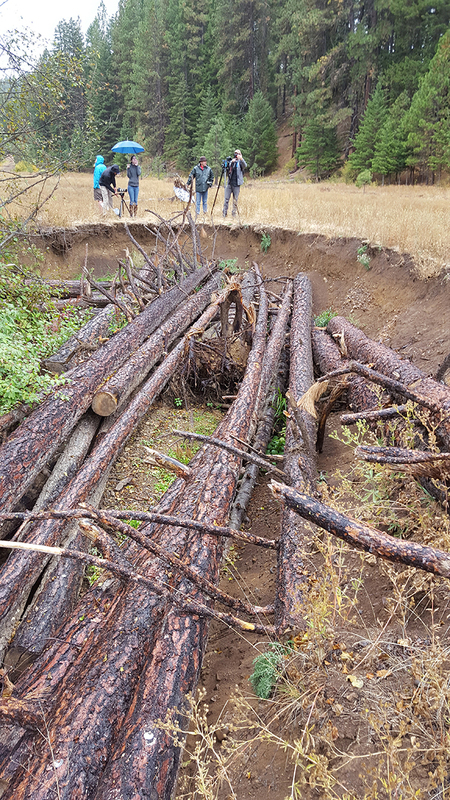 As Scott Nicolai, Yakama Nation Fisheries’ project manager describes it; engineered log jams are not an attempt to control a stream, but instead act as a simple “suggestion to the stream” by reintroducing wood structures that encourage the system to retake natural form and functions. Restoration outcomes compound over many years as streams retain more sediment and streambeds rebuild, eventually reconnecting with side-channels and floodplains. Yakama Nation’s proven restoration methods and the compelling story of conserving the Teanaway Community Forest were central to securing a new grant to continue this work. These structures also provide shade and create deep pools, critical habitat for endangered steelhead and bull trout in the Yakima River Basin. In December 2016, American Rivers, Trout Unlimited and The Wilderness Society’s joint restoration proposal was competitively selected for funding by the Wildlife Conservation Society’s Climate Adaptation Fund. The Climate Adaptation Fund awards grants to conservation organizations for applied, on-the-ground projects that implement conservation actions to advance climate adaptation at a landscape scale. 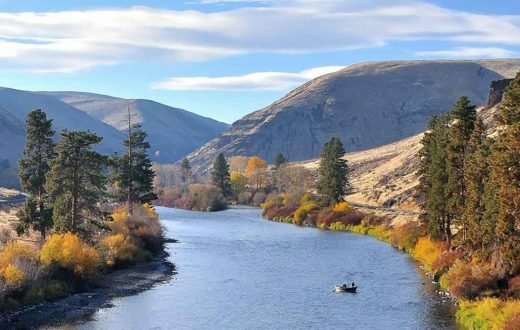 Awarded funds directly supported restoration of 8.5 miles of tributary habitat and 150 acres of floodplain on eight creeks, implemented by Yakama Nation Fisheries. American Rivers, Trout Unlimited, and The Wilderness Society have been carrying out a strategy to showcase woody debris restoration techniques and outcomes, and have been engaging with local and regional stakeholders to further grow public support for conservation and restoration through volunteerism in the Teanaway Community Forest. While the restoration projects are taking two years to complete, the outcomes will build upon themselves for decades. 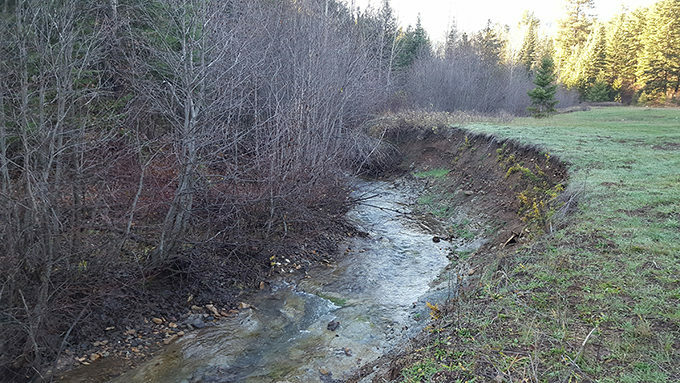 Cold-water stream habitat will be re-established and streams and floodplains will be reconnected; critical steps to recovery of endangered salmon, steelhead, and bull trout. As a result, the Teanaway Community Forest and larger Yakima River Basin will be better prepared to adapt to the impacts of climate change in the coming century. These projects will provide valuable data to inform restoration efforts elsewhere in the region, and serve as a powerful example of how conservation partnerships can leverage investment to benefit communities and ecosystems. I appreciate the great work being done to restore the rivers and streams in the Yakima area.